Could it be the Samsung Galaxy S5 or the Samsung Galaxy Round2?! 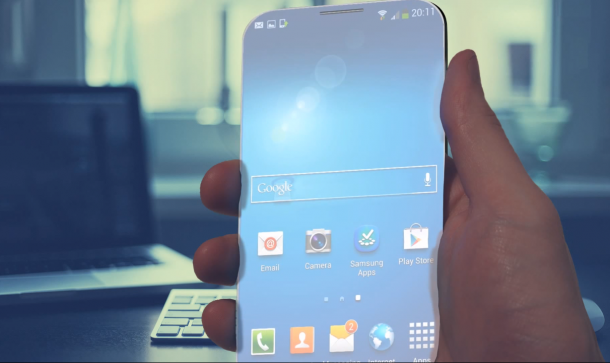 Samsung is expected to debut some new smartphones in 2014 such as the Galaxy S5 along with the Galaxy Note 3 Lite. It's rumored that Samsung will disclose both devices in February or March. As Fone Arena reports (Dec.4), a whole new mystery device from Samsung appears inside the GFXBench database under the model number SM-G900S. Detailed specs from the device are revealed, indicating that this SM-G900S may be either the Galaxy S5 or another Samsung device, the Galaxy Round 2. The 5.7-inch Samsung Galaxy Round phone, model number SM-G910S was published in October, exclusively in South Korea. 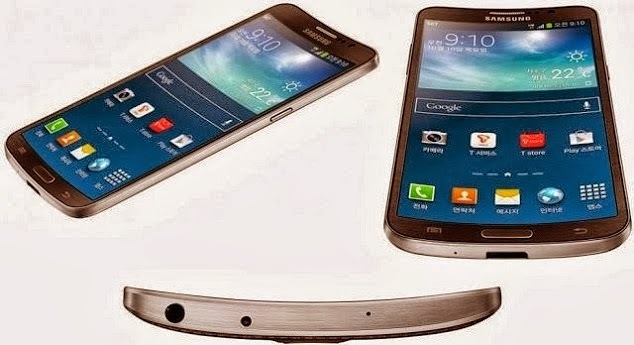 It's the world's first curved Super AMOLED display smartphone and was manufactured in limited quantities. Since the model number series is comparable to the SM-G900S device, speculation points for the possibility of a Galaxy Round 2. Revealed specs from the SM-G900S mystery device resemble the rumored specs of the upcoming 5-inch Samsung Galaxy S5. Featured on the device is similar 2560 x 1440 display resolution and Android 4.4 KitKat OS. The key difference is that the mystery device comes with a 2.5 GHz quad-core Snapdragon 800 processor, as the Samsung Galaxy S5 is rumored to feature a 64-bit A7 chip. While the processor differs from the Galaxy S5, it matches the quad-core Snapdragon 800 processor found for the Samsung Galaxy Round, which sports a lesser clock speed of 2.3 GHz. Samsung generally seems to have bumped up the clock speed slightly, if it is to be believed that this SM-G900S could be the Galaxy Round 2. The mystery device also features an Adreno 330 GPU, also found for the Galaxy Round. Fone Arena points out the 2560 x 1440 display size with the SM-G900S might be an indication the device may well have a 5.25-inch display with pixel density of 560ppi. Earlier this year, Samsung revealed its intends to intro 560ppi display phones in the market in 2014. The 5-inch display size in the SM-G900S mystery device puts it closer to the size with the rumored 5-inch display of the upcoming Samsung Galaxy S5. Although Samsung is anticipated to announce a mid-range version of the Galaxy Note 3, the mystery device is not likely to be the Galaxy Note 3 Lite. According to SamMobile, the Galaxy Note 3 Lite is predicted to feature an LCD display as opposed to Super AMOLED display technology. The SM-G900S mystery device specs reveal a Super AMOLED display, ruling out the chance of it being the Note 3 Lite. If the mystery device turns out to become the Galaxy Round 2, it could possibly mean that Samsung was successful enough using the Galaxy Round that it could be setting plans for a global release.